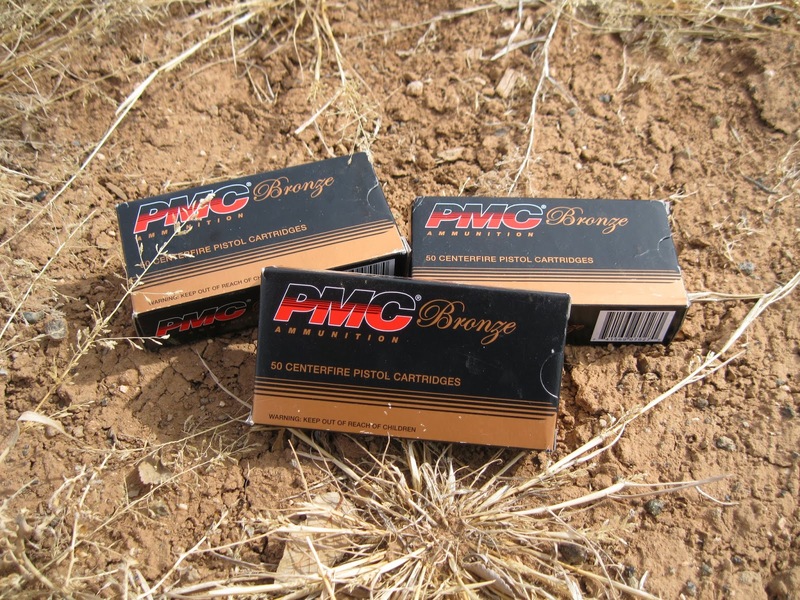 So I received 150 rounds of PMC Bronze 9mm 115 grain FMJ from them a while back, but waited until the weather was a bit nicer to actually hit the "range". As it turned out my son came to visit and brought his Hi-Point C9, so things worked out really well. We went out Saturday, early afternoon. The temperature was close to 80, and there was a light west wind. Which got less light later. As you see, our target was really high-tech. This photo is facing south. Top is my son's Hi-Point C9 and his 8 round magazine (yes, he needs more! 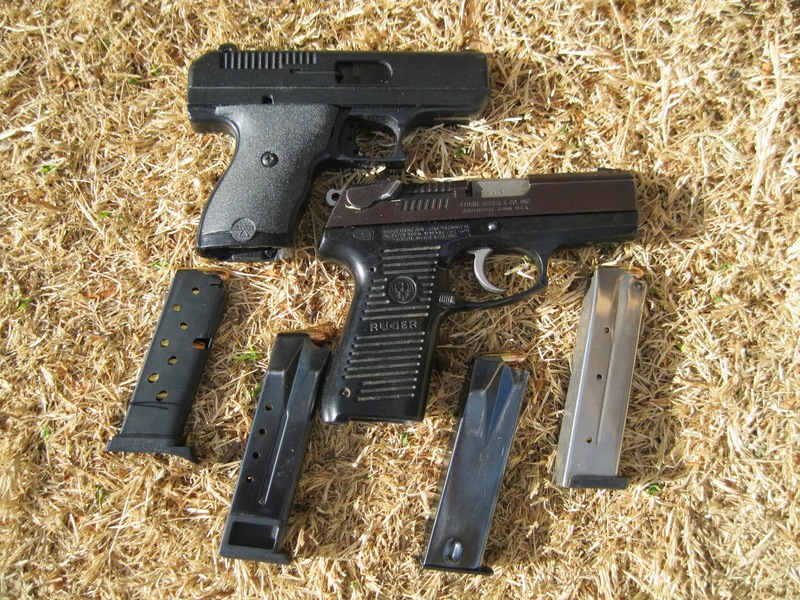 ), and below that is my Ruger P95DC and my 10 round (Ruger- came with the gun), 15 round (unmarked, manufacturer unknown), and 18 round (Ram-Line "Mag 9085") magazines. I marked off 10 paces and 20 paces, and with my extra long legs, that's more yards than you'd think. I let my son take the first shots, and he emptied the magazine from the 20 pace mark with no problems and variable accuracy. Then it was my turn. I was using the 10 round magazine for the test. The target was spared. Completely; not a scratch. Hmmm. So I moved up to the 10 pace mark with similar results. Not encouraging. But there were no problems with the ammo. I soon discovered my shots were all going to the left and slashing the left wall of the box- I didn't have an allen wrench to adjust my sights, so I just compensated with much better results. The wind was picking up as well, coming from the right, which may have added to the problem, but there was no other safe direction to fire, so I didn't get to test that wishful theory. 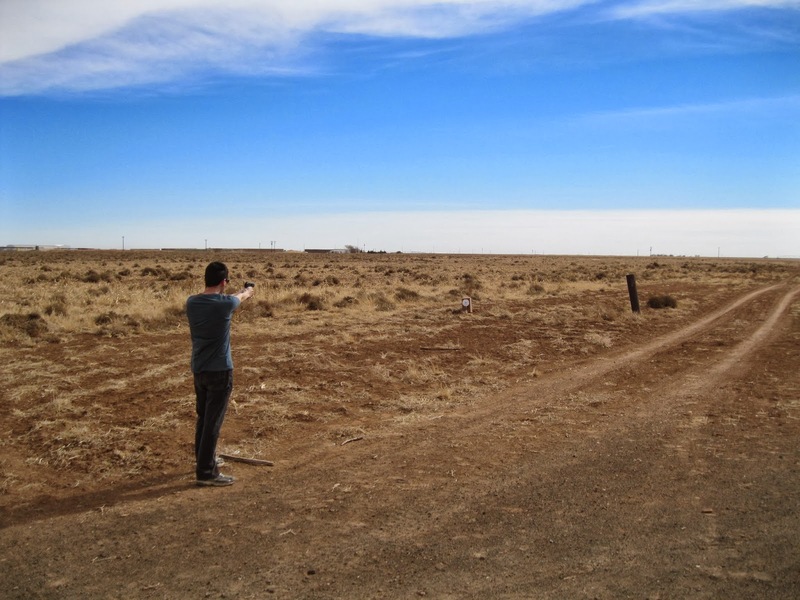 The first firing problems occurred when my son and I traded firearms. He was getting failures to eject and failures to feed with every shot. I took my gun back and had no problems at all, so I suspect it was an unfamiliarity with the pistol more than anything else. However... After the first box, things got "interesting". In almost every magazine I was experiencing a failure to eject and/or a failure to feed. Or two. My son had one failure to eject/feed in his pistol- but only one out of an entire box. Wanting to check every possibility I put some old ammo I had brought along for comparison in the magazine and shot it. No problems. (I was still having to compensate for my shots all going left, though.) I put the test ammo in different magazines and had the same experience. Then I fired my old ammo from those same magazines and didn't have a single failure. I tried every combination possible and kept having the same results. The new, test ammo was having failures and the old stuff I had on hand didn't have a single failure to either eject or to feed. 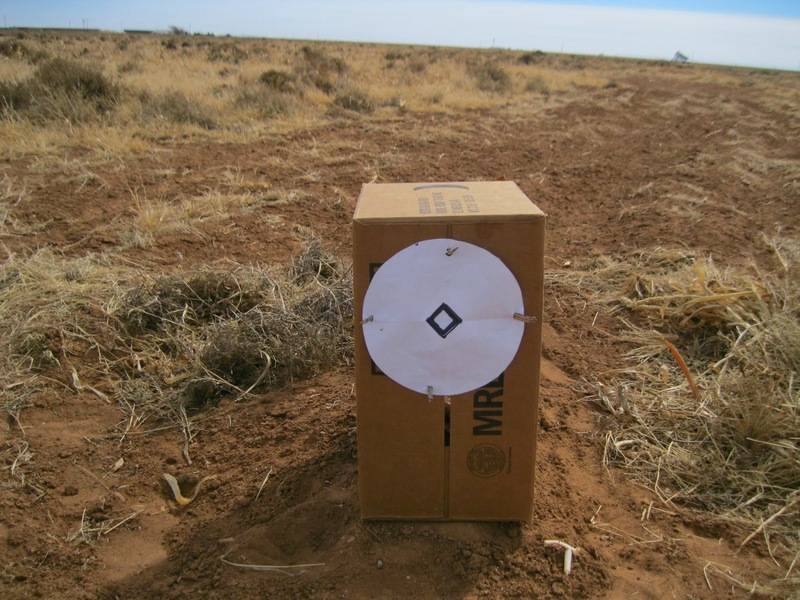 I was trying everything I could, because as I told my son "I want to be able to say really good things about the ammo..."
The first box performed much better in my gun than the other box (we both shot out of the third box). My conclusion is that this ammo was having some problems ejecting- or my pistol was having trouble ejecting it. I believe the failures to eject were the primary problem and the failures to feed almost always followed a failure to eject (but not always). The accuracy from my son's pistol was quite acceptable, and is was very consistent with the accuracy I was getting from the ammo in my gun. Cleanup was nice- the ammo seemed to shoot pretty clean. I should have taken a picture down the barrel, but there really wasn't anything to see. And the same goes for the surrounding areas. Not much fouling. So that was a plus. 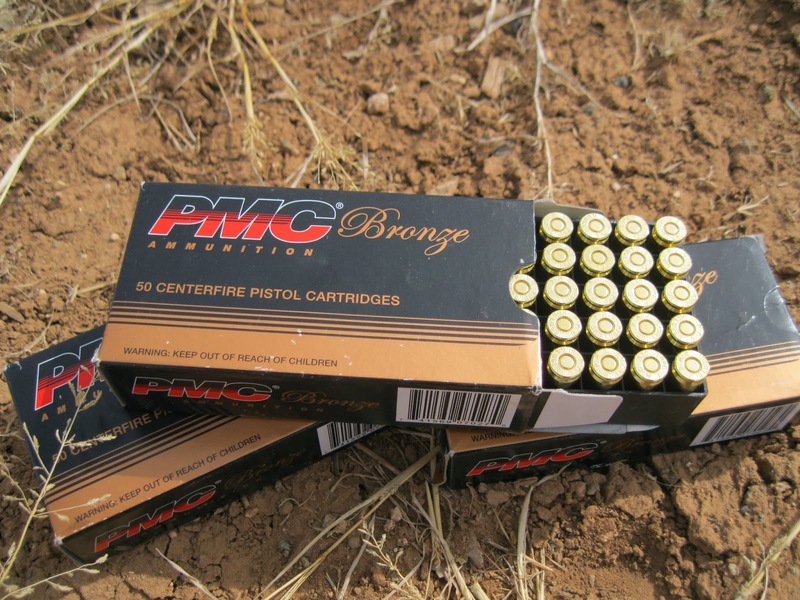 For a plinking ammo, I'd say it is a decent deal. I wouldn't want to depend on it for personal protection- at least not in my Ruger. All in all, I'm thinking my Ruger just didn't like the ammo that well, while my son's Hi-Point seemed to like it just fine. I'm glad I had more than one gun to test it in. I'd really like to thank AmmoForSale.com for the opportunity to review this ammunition. We had a great day and got in some much needed practice. I don't know much about Hi-Points and Rugers susceptibility to limp-wristing failures like a Glock, but is it possible? Considering that I had zero failures from the older ammo, I kinda doubt it. Back when I shot my very first 1911 I had the limp-wrist problem with the first few shots- until the person I was shooting with educated me about keeping my wrist solid. I have never had a problem with that since then. Anything is possible, but I did everything I could to eliminate user error.